Sign up and get access to one or more of our convenient parking locations in Georgia, Florida, South Carolina and Tennessee. Choose one for each location above. This Parking Agreement will be emailed to ParkSimple’s Accounting Office (listed below) after submission. Once the account is activated, you will be contacted by a Parking Manager. When would you like to reserve your parking? Parksimple reserves the right to terminate or refuse parking to any individual for any reason it deems appropriate. Parkers must provide 30 days written notice and return parking credential to terminate account. Credential holder has read the rules and regulations for the parking facility and agrees to conditions. A monthly parking card or permit may be obtained by the company administrator or as an individual by submitting a completed and signed enrollment package. A processing/enrollment fee varies by site for issuance of access credentials. A fee will be invoiced for lost credentials. This varies by credential type. A lost or stolen credential should be reported as soon as possible. Do not leave your parking card (for sites that use cards) in your car. It may become warped due to heat or cracked due to cold temperatures. Parking credentials authorize the holder to have only one of the vehicles listed on the application in the garage at any given time. Owners of more than one vehicle or members of car pools may, therefore, use a single credential for more than one vehicle as long as each one has been listed and only one vehicle is parked in the garage at the time. If two members of a car pool drive two vehicles on the same day, only one car pooler will be permitted to use the parking credentials. The other car pooler must pull a ticket and park in Visitor Parking and must pay for parking at the current daily rate. The credential holder is responsible for updating any changes regarding license number, address, employer or telephone number. Any parker found to be misusing their parking privileges (Example, but not limited to: passing the card to another individual) will be subject to termination of privileges. Failure to properly register your car or misuse of parking spaces may subject your car to immobilization or towing. Long term storage of vehicles, properly registered or not, is not permitted without the prior written consent of Parksimple. Overnight storage is available at select locations, and special rates apply. Parksimple provides single shift parking. Account holders will not exceed 48 hours on continual parking without prior written consent from Parksimple Management. Garages have 24/7 access. All checks should be made payable to Parksimple. This ONLY applies to corporate accounts. Monthly parking less than one month will be prorated on a 1/2 month basis. Payment for monthly parking is due on the 1st of each month. Payment is considered late after the 5th and credential deactivation is on the 10th. A reactivation fee of $20 will be invoiced for all deactivated credentials. If the 10th falls on a Saturday, Sunday or Holiday, payments are due the prior business day. Any parker with an outstanding balance after the 10th of the month may be assessed a late fee. If the balance remains outstanding beyond the 15th, the parking credentials will be deactivated and monthly parking privileges will be terminated until payment is made. A $20 reactivation fee may be assessed in addition to a late fee. Anyone having their credentials deactivated a total of three (3) times risks having their parking privileges terminated. Refunds for parking will not be made to anyone whose credentials have been deactivated due to nonpayment. Monthly corporate payments by check remit to the address on the invoice. All checks returned from the bank for nonpayment will be assessed a $35 service charge. If the parker believes an error has been has been made on his/her account, proof of payment will be required (canceled check, bank statement or cash receipt). No adjustments will be made without verification. Parksimple reserves the right to terminate or refuse parking to any individual for any reason it deems appropriate. Parkers must provide 30 days written notice and return all parking credentials to terminate account. All notices of cancellation must be submitted by the 3rd of each month. If you would like to cancel your account mid-month you MUST submit your notice before the 15th of the prior month. Failure to adhere to the dates listed above will result in your account being charged for a full month of service and no refunds will be given. If a monthly parker is temporarily without their parking credentials, entry should be gained by following the procedures for a visiting parker. The parker will press the “Call” or “Help” button upon exiting. The parker's credential number and name will be recorded. Anyone found misusing their parking privileges will be subject to immediate termination. Follow directional signs throughout all levels of the deck. Use your parking deck access credentials to both enter and exit from the facility. DO NOT TAKE A TICKET TO ENTER THE GARAGE. The parking access system will not allow multiple exits. Access credentials must be used in sequence. Only one entrance and one exit are allowed per cycle. Unlimited cycles are allowed daily. Overnight storage of a vehicle is not permitted without the prior consent of Parksimple. PARKERS WHO ARE OBSERVED DRIVING THE WRONG WAY WILL BE GIVEN ONE WRITTEN WARNING. FUTURE VIOLATION MAY RESULT IN TERMINATION OF PARKING PRIVILEGES. A speed limit of 5 mph will be monitored by Parking Personnel; and violations will be issued. Parking is not allowed in RESERVED, VISITOR, HANDICAP PARKING, OR IN NO PARKING ZONES unless authorized to do so. PARKING IS ALLOWED BETWEEN THE LINES IN ONE SPACE ONLY. PLEASE DO NOT PARK IN CROSSED OUT AREAS OR SOLID PRINTED AREAS AT STAIRWELL OR BUILDING ENTRANCES. Please deposit trash in containers located at each elevator station. Any accident occurring in the garage involving damage to vehicles or personal injury should be reported to the Police (911), Building Security and the Parking Management Office. Parksimple, its respective owners, affiliates, and subsidiaries and their respective shareholders, directors, officers, employees, and agents, and all other parties, including, but not limited to this facility’s owner or landlord and its agents, is not responsible for theft, damage, loss of vehicles or items contained within the vehicle while parked on the premise. Damage or theft to any vehicle is the sole responsibility of the vehicle’s owner. Any parker in violation of these terms and conditions will be subject to termination without warning. Violations are given for using two spaces, driving the wrong way, speeding or any other reasons at the discretion of the Parking Manager. A citation will be left on the windshield. A response is required the following day to ensure identification. All vehicles must be maintained and in proper working order. This includes, but is not limited to; flat tires, leaking oil, or any other defect that could damage to the property or prevents the vehicle from being operational. All construction vehicles are to be parked on the top level of the garage. All other traffic to use lower lever, C-G.
Policy shall name Parksimple as Additional Insured. Policy shall include a Waiver of Subrogation in the favor of Parksimple. Coverage afforded under Policy shall be Primary and Non-contributory. Liability $1,000,000 Combined Single Limit for all owned, non-owned and hired vehicles. Physical Damage for all hired vehicles. Policy shall include a Waiver of Subrogation in favor of Parksimple. All coverage's shall be written with an insurance company with an AM Best Rating/Financial Size Category of at least A/IX. Evidence of coverage shall be provided on a Certificate of Insurance before the start of the Agreement and upon each renewal for the duration of the Agreement. The Certificate shall list the Agreement number and premises address for ease of reference. All coverage's shall provide Thirty Days’ Notice of Cancellation and Notice of Material Change be provided to Parksimple. North Beach Plaza 1. Obtaining a Parking Credential ◦ A monthly parking card or permit may be obtained by the company administrator or as an individual by submitting a completed and signed enrollment package to Parksimple. A $25 processing/enrollment fee for issuance of access credentials will be charged by Parksimple to all new accounts. A fee will be invoiced for lost credentials. ◦ Application fees for businesses will be as follows: • 2-10 monthly parkers - $25 fee + $5 per credential • 11-30 monthly parkers - $50 fee + $5 per credential • 31-50 monthly parkers - $100 fee + $5 per credential ◦ A lost or stolen credential should be reported as soon as possible. Replacement will be $25. 2. Conditions for Use of Parking Credential ◦ Parking credentials authorize the holder to have only one of the vehicles listed on the application in the garage at any given time. ◦ Parking credentials are to be used in the signed “Permit Parking Only” spaces located on floors 4, 5 & 6 of the parking garage. If the parking garage is full the credential holder will need to find other means of parking or wait until an open parking space becomes available on levels 3, 4, 5, or 6 in the parking garage. ◦ Owners of more than one vehicle, or members of car pools or corporate customers may, therefore, use a single credential for more than one vehicle as long as each one has been listed in the application. ◦ If two members of a car pool drive two vehicles on the same day, only one car pooler will be permitted to use the parking credentials. The other car pooler must pull a ticket and park in Public Parking and must pay for parking at the current daily rate upon exit. ◦ The credential holder is responsible for updating any changes regarding vehicle information, email address, employer or telephone number. ◦ Any parker found to be misusing their parking privileges (Example, but not limited to: passing the card to another individual) will be subject to termination of privileges. ◦ Failure to properly register your car or misuse of parking spaces may result in termination of parking privileges. ◦ Long term storage of vehicles, properly registered or not, is not permitted without the prior written consent of Parksimple. Special Rates apply for overnight storage. Parksimple provides single shift parking. Account holders will not exceed 12 hours on continual parking without prior written consent from Parksimple Management. 3. Payments on a Parking Account ◦ Payment for monthly parking is due on the 1st of each month. Payment is considered late after the 5th and credential deactivation is on the 10th. A re-connection fee of $20 will be invoiced for all credentials deactivated. If the 10th falls on a Saturday, Sunday or Holiday, payments are due the prior business day. Any parker with an outstanding balance after the 10th of the month may be assessed a late fee. If the balance remains outstanding beyond the 15th, the parking credentials will be deactivated and monthly parking privileges will be terminated until payment is made. A $20 reactivation fee may be assessed in addition to a late fee. Anyone having their credentials deactivated a total of three (3) times risks having their parking privileges terminated. ◦ Refunds for parking will not be made to anyone whose credentials have been deactivated due to nonpayment. ◦ Monthly corporate payments shall be billed automatically with the credit card on file. ◦ Any chargeback fees for stop payments will be assessed to the account holder in the amount of $35, plus the original charge. Payment for chargeback fees will be made by cash. Parking privileges will be terminated until payment in full has been made to include the original payment and the $35 service charge. ◦ If the parker believes an error has been has been made on his/her account, proof of payment will be required (canceled check, bank statement or cash receipt). No adjustments will be made without verification. 4. Termination of Parking ◦ Parksimple and/or the City of Clearwater Parking System reserves the right to terminate or refuse parking to any individual for any reason it deems appropriate. Parkers must provide 30 days written notice and return parking credential to terminate account. All notices of cancellation must be submitted by the 3rd of each month. If you would like to cancel your account mid-month you MUST submit your notice before the 15th of the prior month. Failure to adhere to the dates listed above with result in your account being charge for a full month of service and no refunds will be given. 5. Missing Credential ◦ If a monthly parker is temporarily without their parking c redentials, entry should be gained by following the procedures for a visiting parker. The parker will press the “Call” or “Help” button upon exiting. The parker's credential number and name will be recorded. Anyone found misusing their parking privileges will be subject to immediate termination. 6. Parking Deck Procedures ◦ Follow directional signs throughout all levels of the deck. ◦ Use your parking deck access credentials to both enter and exit from the facility. DO NOT TAKE A TICKET TO ENTER THE GARAGE. ◦ The parking access system will not allow multiple exits. Access credentials must be used in sequence. Only one entrance and one exit are allowed per cycle. Unlimited cycles are allowed daily. ◦ Overnight storage of a vehicle is not permitted without the prior consent of Parksimple. ◦ PARKERS WHO ARE OBSERVED DRIVING THE WRONG WAY OR DRIVING IN EXCESS OF 5 MPH WILL BE GIVEN ONE WRITTEN WARNING. FUTURE VIOLATION MAY RESULT IN TERMINATION OF PARKING PRIVILEGES. ◦ Parking is not allowed in RESERVED, VISITOR, HANDICAP PARKING, ELECTRIC VEHICLE, OR IN NO PARKING ZONES unless authorized to do so. ◦ PARKING IS ALLOWED BETWEEN THE LINES IN ONE SPACE ONLY. PLEASE DO NOT PARK IN CROSSED OUT AREAS OR SOLID PRINTED AREAS AT STAIRWELL OR BUILDING ENTRANCES. ◦ Please deposit trash in containers located at each elevator station or stairwell exit. ◦ Any accident occurring in the garage involving damage to vehicles or personal injury should be reported to the Police (911), Building Security and the Parking Management Office on the ground floor of the North Beach Parking Garage phone number 727-288-7271. ◦ Parksimple, its respective owners, affiliates, and subsidiaries and their respective shareholders, directors, officers, employees, and agents, and all other parties, including, but not limited to this facility’s owner or landlord, is not responsible for theft, damage, loss of vehicles or items contained within the vehicle while parked on the premise. Damage or theft to any vehicle is the sole responsibility of the vehicle’s owner. ◦ Any parker in violation will be subject to termination without warning or refund. Violations are given for using two spaces, driving the wrong way, speeding, parking in non-designated areas or any other reasons at the discretion of the Parking Manager. 7. Unidentified or Abandoned vehicles. ◦ A citation will be left on the windshield. A response is required the following day to ensure identification. ◦ All vehicles must be maintained and in proper working order. This includes but is not limited to flat tires, leaking oil, or any other defect that could damage to the property or prevents the vehicle from being operational. ◦ Vehicles left unidentified or in a state of disrepair for more than 24 hours will be considered abandoned and removed from the premises per City of Clearwater Ordinance 30.055. 8. Parking Location ◦ Monthly parkers under this agreement are restricted to parking on floors 3, 4, 5, and 6 of the parking garage. If the vehicle is not parked on level 3 or higher the vehicle will be required to pay the hourly rates. Any parker in violation will be subject to a warning and/or termination without warning or refund. Buckhead Centre 1. Obtaining a Parking Credentials • A monthly parking card, hangtag or permit may be obtained by the company administrator or as an individual by submitting a completed and signed enrollment package. • An enrollment application must be completed for each and every individual that receives credentials. • Only one credential issued per person • A processing/enrollment fee varies by site for issuance of access credentials. A fee will be invoiced for lost credentials. This varies by credential type. • If an individual is taking over another individual’s credentials for whatever reasons, the new individual must still complete an enrollment form. • A lost or stolen credential should be reported as soon as possible and may be subjected to a $25 activation fee. • Do not leave your parking card (for sites that use cards) in your car. It may become warped due to heat or cracked due to cold temperatures. 2. Conditions for Use of a Parking Credentials • Parking credentials authorize the holder to have only one vehicle listed on the application and in the garage at any given time. • The credential holder is responsible for updating any changes regarding, license number, address, employer or telephone number. • Any parker found to be misusing their parking privileges (Example, but not limited to: passing the card to another individual) will be subject to termination of privileges. • Failure to properly register your car or misuse of parking spaces may subject your car to immobilization or towing. • Long term storage of vehicles, properly registered or not, is not permitted without the prior written consent of Parksimple. Special Rates apply for overnight storage. Parksimple provides single shift parking. Account holders will not exceed 12 hours on continual parking without prior written consent from Parksimple Management. 3. 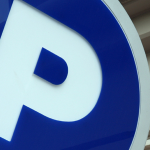 Payments on a Parking Account • All checks should be made payable to Parksimple. This ONLY applies to corporate accounts. • Payment for monthly parking is due on the 1st of each month. Payment is considered late after the 5th and credential deactivation is on the 10th. A re-connection fee of $20 will be invoiced for all credentials deactivated. If the 10th falls on a Saturday, Sunday or Holiday, payments are due the prior business day. Any parker with an outstanding balance after the 10th of the month may be assessed a late fee. If the balance remains outstanding beyond the 15th, the parking credentials will be deactivated and monthly parking privileges will be terminated until payment is made. A $20 reactivation fee may be assessed in addition to a late fee. Anyone having their credentials deactivated a total of three (3) times risks having their parking privileges terminated. • Refunds for parking will not be made to anyone whose credentials have been deactivated due to nonpayment. • Monthly corporate payments by check remit to the address on the invoice. • All checks returned from the bank for nonpayment will be assessed a $35 service charge. • If the parker believes an error has been has been made on his/her account, proof of payment will be required (canceled check, bank statement or cash receipt). No adjustments will be made without verification. 4. Termination of Parking • Parksimple reserves the right to terminate or refuse parking to any individual for any reason it deems appropriate. Parkers must provide 30 days written notice and return parking credential to terminate account. All notices of cancellation must be submitted by the 3rd of each month. If you would like to cancel your account mid-month you MUST submit your notice before the 15th of the prior month. Failure to adhere to the dates listed above with result in your account being charge for a full month of service and no refunds will be given. 5. Missing Credential • If a monthly parker is temporarily without their parking credentials, entry should be gained by following the procedures for a visiting parker. The parker will press the “Call” or “Help” button upon exiting. The parker's credential number and name will be recorded. Anyone found misusing their parking privileges will be subject to immediate termination. 6. Parking Deck Procedures • Follow directional signs throughout all levels of the deck. • Use your parking deck access credentials to both enter and exit from the facility. DO NOT TAKE A TICKET TO ENTER THE GARAGE. • The parking access system will not allow multiple exits. Access credentials must be used in sequence. Only one entrance and one exit are allowed per cycle. Unlimited cycles are allowed daily. • Overnight storage of a vehicle is not permitted without the prior consent of Parksimple. • PARKERS WHO ARE OBSERVED DRIVING THE WRONG WAY WILL BE GIVEN ONE WRITTEN WARNING. FUTURE VIOLATION MAY RESULT IN TERMINATION OF PARKING PRIVILEGES. • A speed limit of 5 mph will be monitored by Parking Personnel: violations will be issued. • Parking is not allowed in RESERVED, VISITOR, HANDICAP PARKING, OR IN NO PARKING ZONES unless authorized to do so. • PARKING IS ALLOWED BETWEEN THE LINES IN ONE SPACE ONLY. PLEASE DO NOT PARK IN CROSSED OUT AREAS OR SOLID PRINTED AREAS AT STAIRWELL OR BUILDING ENTRANCES. • Please deposit trash in containers located at each elevator station. • Any accident occurring in the garage involving damage to vehicles or personal injury should be reported to the Police (911), Building Security and the Parking Management Office. • Parksimple, its respective owners, affiliates, and subsidiaries and their respective shareholders, directors, officers, employees, and agents, and all other parties, including, but not limited to this facility’s owner or landlord, is not responsible for theft, damage, loss of vehicles or items contained within the vehicle while parked on the premise. Damage or theft to any vehicle is the sole responsibility of the vehicle’s owner. • Any parker in violation will be subject to termination without warning. Violations are given for using two spaces, driving the wrong way, speeding or any other reasons at the discretion of the Parking Manager. 7. Unidentified or Abandoned vehicles • A citation will be left on the windshield. A response is required the following day to ensure identification. • All vehicles must be maintained and in proper working order to not be considered abandoned. This includes but is not limited to flat tires, leaking oil, or any other defect that could damage to the property or prevents the vehicle from being operational. 8. Parking Areas • Monthly parkers and employees are NOT to park in the visitor/guest parking area. Violators will be booted or towed. • Monthly parkers and employees are NOT to park in reserved spaces unless they have the proper reserved parking credentials. • Reserved parkers are to park in their designated reserved space. • Repeat violators of this policy will have their parking privileges terminated.